When buying a shelf one has to consider so many factors. First, consider the items that you are intending to display on it. Are they heavy or light? If they are heavy then a wooden or metallic shelf is recommended, otherwise buy the one made from glass. Is the purpose of the shelf for storage or display? 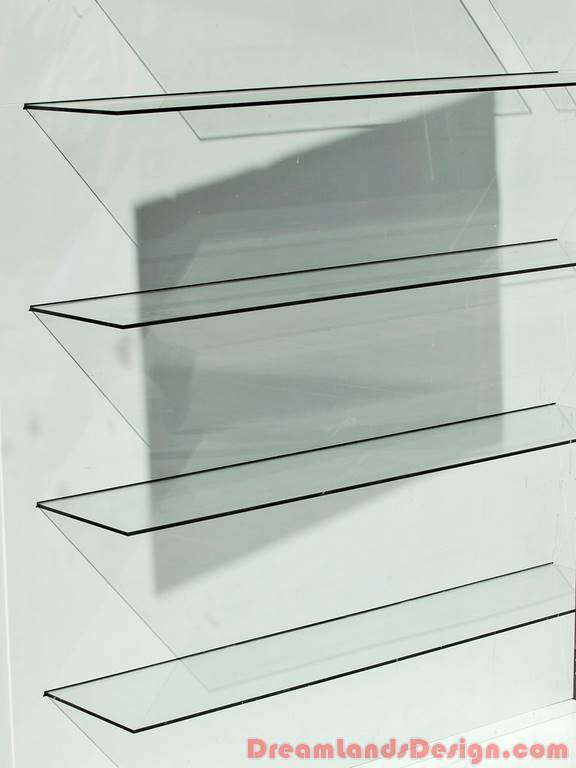 If it is for storage then buy a metallic or wooden one but if it is for display, glass shelves are the best choice. Shelves made of glass are held into place by brackets. These brackets are made from a tougher and stronger material such as metal, wood or enamel. The weight of the objects to be displayed on them determines the type and thickness of the glass and brackets used. There are three types of glass. The weakest is called the annealed or float type. It is used to make shelves that hold light items like picture frames and light vases. It breaks easily into large shards. The tempered glass type is made by heating the glass to high temperatures and rapidly cooling it in air. This type is stronger and is used to hold heavier objects such as a small flat screen TV and books. The fully tempered type is the strongest and is usually made through a strict and controlled heating and cooling process. Strength of the glass can also be determined by the thickness as thick glass is stronger than the thin one. The shelves are also designed in different ways. There are the wall mounted ones which are fixed onto the wall. They are usually not very strong, are used to display light objects and come in several designs. There are corner shelves which are fixed on the corners of the house. The other design is the floor mounted. They mostly have elegant wooden or metallic frames and brackets to hold them up and they can have many tiers since they have strong bases and can hold heavier things. Glass shelves have their own advantages. To begin with they look exquisite and improve the way the home looks. They also enable one to view an object from different angles without holding it. When using them one can apply lighting effects and come up with an attractive display since they are transparent. Due to their delicate nature they also encourage gentle handling of the items they display.